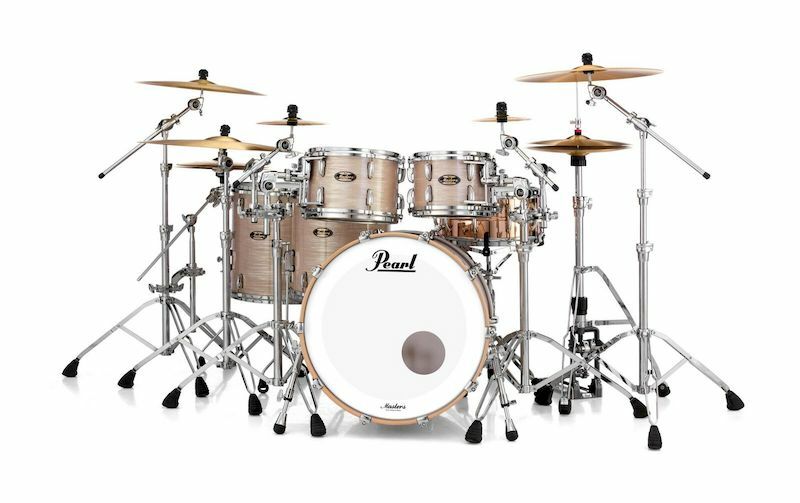 Introduced in 2017, Pearl’s Sonic Select Shell Recipes gave a performance-formula focus to the boutique-level Masterworks series. Though each sonically-tested option represents the very best in form and function, the Studio Recipe won the favor of many a Pearl Artist due to its explosive midrange warmth and extended low-end power. Developed in 1983 with legendary Toto drummer Jeff Porcaro, Pearl’s original DR-1 Drum Rack was the first free-standing, frame-based drum support system available. Today, in celebration of 35 years of pioneering the drum rack, Pearl’s ICON (short for Independent CONtrol,) Rack systems are being greatly expanded with a new selection of clamps and accessories. All new pre-configured single and three-sided rack packages and individual ICON components have been upgraded to include a rotating support foot. Pearl and Keith McMillen Instruments introduce the K-Board Pro 4. Pearl Corporation & Keith McMillen Instruments have announced their entry into the MPE (Midi Polyphonic Expression) keyboard controller market with the K-Board Pro 4. 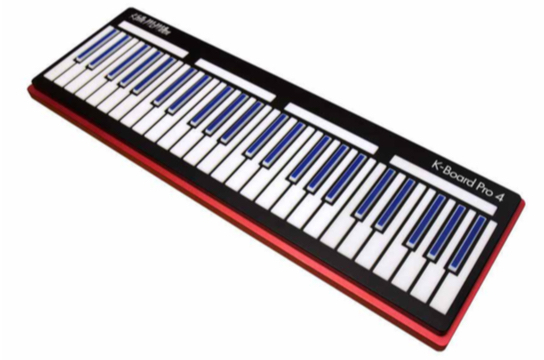 The K-Board Pro 4 is four- octave Midi keyboard controller based on the traditional look of a piano with multiple dimensions of touch sensitivity in each key. It sends attack velocity, release velocity, continuous pressure, horizontal position and vertical position data to offer the deepest level of musical expression. “I’m excited that Keith McMillen Instruments are bringing out the K-Board Pro 4, further expanding the next generation of expressive keyboard instruments! It’s a joy to play and their expertise in the field of sensor technology and delivering great musical products makes this instrument a guaranteed winner” said Jordan Rudess of Dream Theater. 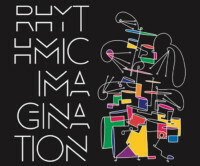 This unique function is achieved by sending control messages to multiple midi channels, allowing the commands to be transmitted separately rather than the conventional method where the controls function globally, and the effects are unison. K-Board Pro 4 features KMI’s patented Smart Sensor Technology that is the core of all the KMI control surfaces. K-Board Pro 4 is USB powered and class compliant to ensure both portability and compatibility with MacOS, Windows, iOS, Android, as well as MIDI capable hardware. For more information on the K-Board Pro 4, please visit www.pearleurope.com. Pearl’s Elite Series of congas and bongos offers the highest quality heads with polished Contour Crown rims and a choice of shell materials that include 100% Thai Oak, seamless Fiberglass or a blend of Oak/Fiber. New for 2019 Pearl is introducing three new lacquer finishes available on Oak Elite Series drums, #504 Mocha Burst, #506 Merlot Burst, and #510 Carmel Brown. 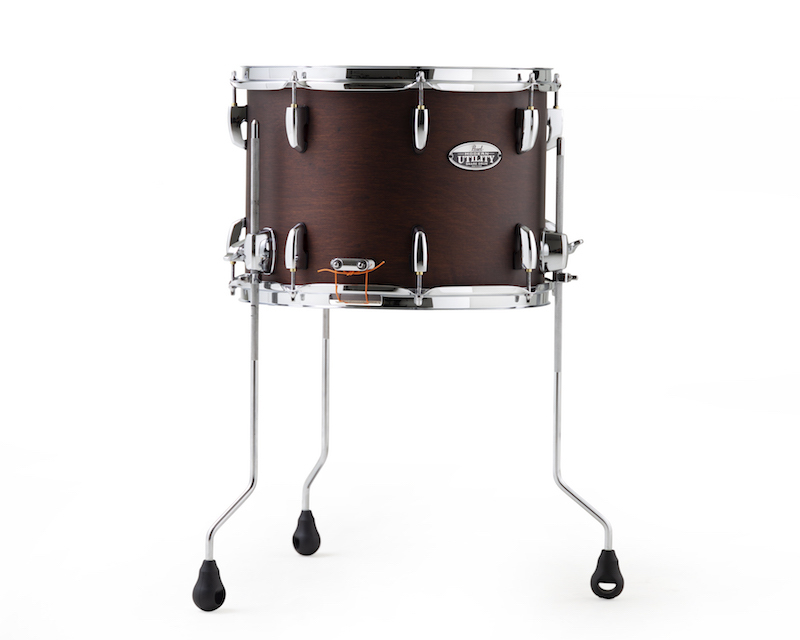 #504 Mocha Burst features a high contract grain pattern over a rich mocha base finish bracketed by a deep brown burst. #506 Merlot Burst features a deep wine-red grain through finish complimented with a gloss black burst. #510 Carmel Brown focuses on the rich brown texture and grain of premium Thai Oak with a matte finish that appears to magnify the richness of the wood. 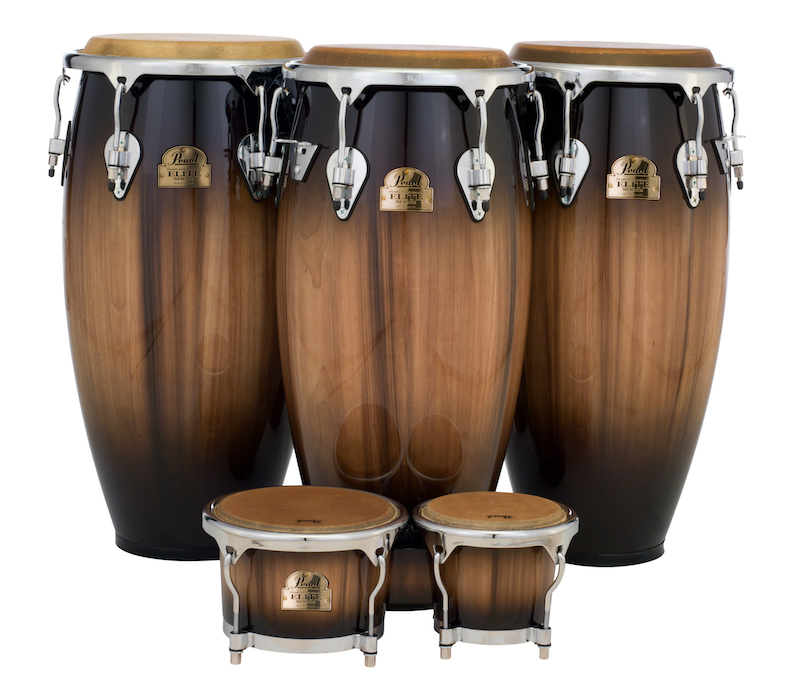 All Elite series conga finishes are available with matching bongos. 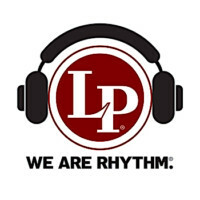 For more information on Elite congas and bongos, please visit www.pearleurope.com. Pearl’s new 8” Guiro Cowbell features sturdy steel construct designed to take a beating. When played as a cowbell, the ribbed side products a dryer tone and the opposite side produces a traditional open cowbell tone. The ribbed Guiro side features 9 parallel ridges that produce a ratchet sound when played like a traditional Guiro. All Pearl cowbells come with a self-adhesive rubber mute if you need to control the volume. The bell’s mounting bracket accepts a 3/8” post and black powder coated finish allow it to blend in, but its tone will get you noticed. The Primer Guiro cowbell is perfectly suited for traditional cowbell applications plus it can be played as a Guiro or for additional sound-effects. For more information on Primero Guiro cowbell and other percussion instruments, please visit www.pearleurope.com.